A GROUP that held a protest this afternoon outside the home of Health Minister Simon Harris has defended its actions. Around a dozen members of a group called the Fingal Battalion Direction Action Group protested against the housing crisis and Mr Harris’ record as Health Minister. Gardaí attended the protest, which marked the launch of the group’s Bring It To Their Doors campaign. However their actions have been widely condemned, with Mr Harris at home with his wife and three-week-old daughter during the protest. Among those critical of the group’s actions was the Irish Nurses and Midwives Organisation (INMO), who spoke out after the protestors pledged their support for striking Irish nurses. Despite the criticism, the Fingal Battalion was unrepentant, saying in a social media post: “Simon Harris is not invincible because he now has a family. “What about all the families that Simon and his party have affected? “We make no apologies for our silent, peaceful and dignified protest. Speaking outside Mr Harris’ home, a member of the Fingal Battalion called on others to follow their example. “Since being giving this position he has completely neglected it, he’s not even qualified for this position,” said a spokesperson. She added: “Today we launched a campaign to Bring It To Their Doors. We urge all groups all over Ireland to get involved. “It can be your local TD, councillors, sheriffs, judges or anyone that plays a part in bringing austerity, corruption or evictions to the people of Ireland. The protest comes in the wake of Saturday’s march through Dublin in support of striking nurses, while the Minister has been criticised over the rising cost of the new children’s hospital. 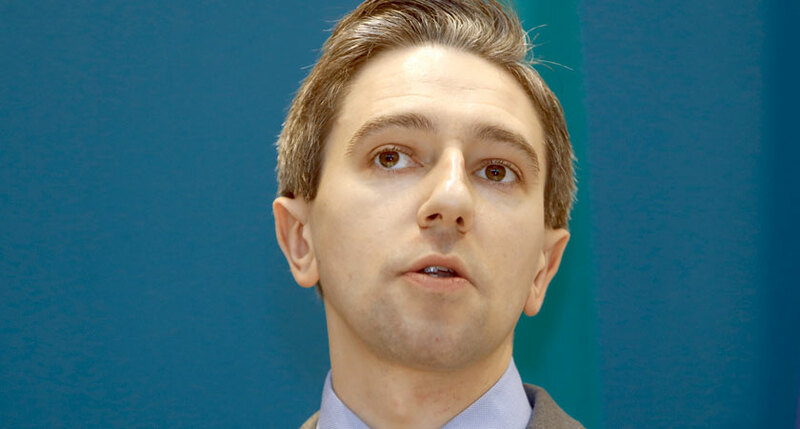 Mr Harris is expected to apologise in the Dáil this week for failing to indicate in a response to a parliamentary question that costs of the hospital were escalating. Yet despite recent criticism levelled at the Minister, today’s protest at his home drew condemnation from the INMO, Harris’ fellow Fine Gael members and rival TDs, among others.